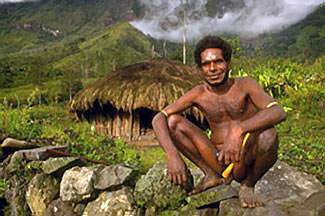 A fascinating story about a missions adventure in Papua New Guinea. 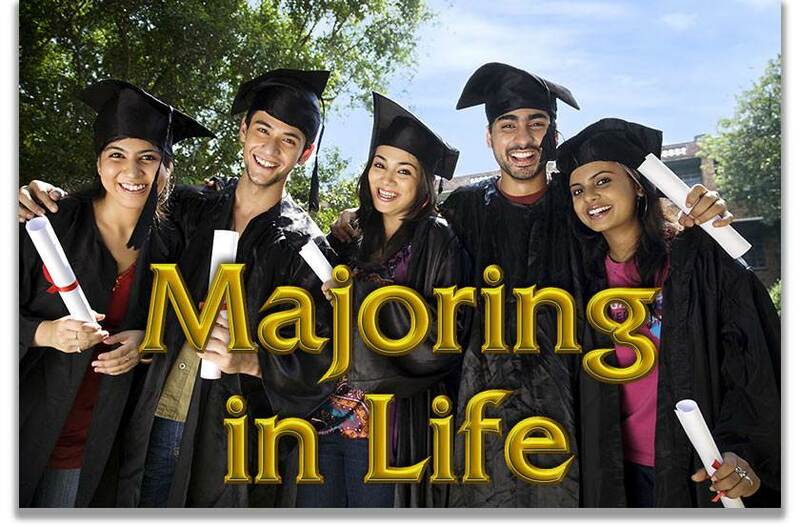 Maybe it's time for you to consider whether missions is God's career choice for you. Dave Wall steps off the bush plane into the plush green scene before him. It's like working for National Geographic. The first thing that hits him is the fetid heat. Gasp. Whatever the jungles of Papua New Guinea smell like, this must be it. Bugs the size of golf balls buzz by his ears, noisy as the plane he just crawled out of. And the humidity hangs thick. Dave, a hockey hopeful from Alberta, Canada, has never sweat like this before. Might as well be walking through a sauna. Suddenly a dark-skinned mob surrounds the plane, jumping like popcorn in a hot, lidless pan. Unfamiliar shouts fill Dave's ears. The language—if you can call it that—sounds like a bad cough and a mouthful of marbles. These people are so excited! They call themselves the Bisorio. They're convinced some more missionaries have come to live in their tribe. They've just heard the gospel, the story of Jesus, and it's the best news they've ever heard. They're not afraid of the "forever fire" anymore. These people are grateful for the missionaries among them, Dave can tell. But Dave doesn't want to be a missionary. He's only a short timer here. He has lived all his life in the shadow of Prairie Bible Institute, a college that sends missionaries all over the world. It may be okay for outsiders to come to PBI and think about missions, but if you've grown up there, it's definitely not cool to want to be a missionary. Professional hockey—now, that's cool. And if it doesn't work out, Canada's Royal Canadian Mounted Police is the way Dave will go. Colorado Avalanche—maybe. The Mounties—a definite possibility. Missions—not a chance. But here he stands, staring at the people missionaries have come to work with, eyeballing the job missionaries do, considering the missionary calling God is slowly injecting into his soul. Wow. Dave shakes his head. He's not convinced. He walks to the missionaries' jungle home, gym bag in hand. Jabbering children dance alongside. He wonders if this short-term missions thing is a mistake. The first day turns to evening. Suddenly, startling news runs through the Bisorio village like a pack of wild pigs. A delegation of five men from a neighboring tribe has come to visit. They call themselves the Malaumanda. They want a "big talk" with the missionaries. Now. Dave finds himself sitting in the meeting. The light of a campfire flickers on dark, glowing faces. He hopes these Malaumanda don't mistake him for a real missionary. After two weeks he's out of here. Real missionaries stick around for a long time. Dave rubs his nose on the sly. Wow, do these guys smell strong. 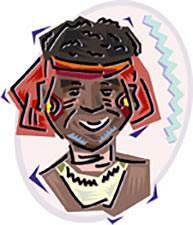 "We want a missionary like the Bisorio have. We're afraid of the forever fire. 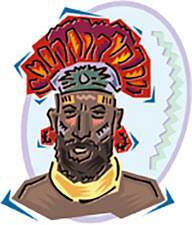 We don't want to die without hearing the message the Bisorio have heard. Send us a missionary. We will take him home with us. Tomorrow." The missionary translates the message into English. Then silence hangs in the air. Dave looks at his fellow short-termers. Everyone's eyes are wide. Dave swallows thickly. The missionary to the Bisorio responds, "We would love to send someone to the Malaumanda, but no one is available right now." Gleamase frowns. He translates the message into his native tongue—another mouthful of marbles. His tribesmen get agitated as they listen. "What do you mean, you have no missionaries?" Gleamase demands. "What about you?" 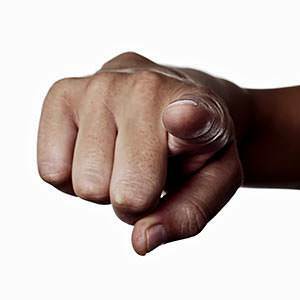 Gleamase's finger points right at Dave. "You come with us. Tomorrow. We need a missionary. Now." Dave stares at the pointed finger, his heart rattling like a machine gun. His eyes beg the missionary host for help. Dave's heart sinks. The explanation is reasonable, but it still sounds lame. He can feel God pouring something into his soul, something Dave isn't sure he wants to have. Back in Canada Dave had his eye on a girl named Cindy Allen. Cindy Allen is very fine. Cindy also knows without a doubt that she wants to be a missionary. She isn't interested in guys who aren't thinking missions—Dave included. Now Dave has a dilemma. If he lets this Gleamase guy talk him into being a missionary, it will seem bogus back home. "Hi, Cindy, I finally decided I should be a missionary. Wanna marry me now?" Yeah, right. The days disappear in waves of heat, noise, and smell. Dave works, building a missionary home in the hazy sun. After each day's work is done, he quietly observes. One afternoon he watches several Bisorio believers get baptized. His brothers and sisters in Jesus, he realizes. Family. With New Guinea as a memory, Canada will never be the same. Dave's world has expanded. Days later Gleamase and gang continue to hang around the Bisorio village, refusing to return to their own. They're still hunting for missionaries. Dave is determined not to get caught. One more day and he's gone. He and the missionary are walking together when Gleamase and his groupies show up. Gleamase gets in the missionary's face, insisting they sit down. Now. He has something to say. Dave sits on the airstrip grass, where tomorrow an airplane will take him away. He finds himself facing the Malaumanda spokesman. Gleamase could touch his nose from where they sit. But Gleamase touches something far deeper. 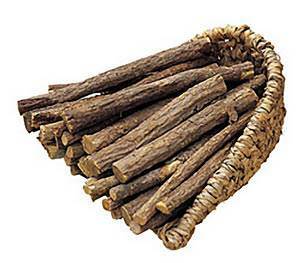 In his hand is a bundle of small sticks. He picks one out and holds it in the air. “This stick is Wadu. He sits beside me right now. You have decided not to send us a missionary. That means Wadu will fall into the forever fire.” With a snap of the wrist, Gleamase throws the stick to the ground. The stick lands before Dave's crossed legs. “This stick is Wayama. She is back in our village. She is old. She is very afraid of the forever fire. But that's where Wayama will go if you do not send us a missionary.” The stick falls, resting across the first. “This stick is Bani. He is only a little child, but that doesn't matter. If you don't send us a missionary, the forever fire will swallow him. We all die someday.” Another stick flips through the air, bouncing against Dave's big toe. Dave Wall is no crybaby. He's a hard-hitting hockey player. But as the sticks fall in a pile at his feet, the tears pour. And the sticks keep coming, each with a name. With a small rustle, the last stick joins the others. Then silence rules. Suddenly, tugging the missionary by his shirt-sleeve, Dave blubbers, "Tell him that I can't come to his village right now." He then grabs the pile lying before him: "But make sure he understands that I'll talk to everyone I can about his people. I'll show them these sticks. I'll tell them the names they possess. And someday, hopefully soon, some of them will come." The missionary translates while Gleamase stares into Dave's glistening eyes. When the translation is done, he nods but does not smile. It's not enough. Dave tugs the missionary's shirt again, desperate. "Make sure he knows I'll be coming. As soon as I possibly can, I'll be here as a missionary. Tell him. Now." Gleamase nods as he listens, his face still stern. Dave needs no translator for the expression he sees: "Get going, young man. Find us a missionary. Be one yourself. And hurry—I won't be here forever." 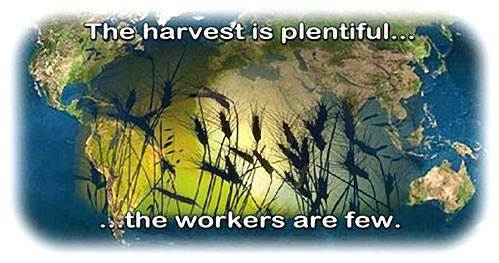 "The harvest is plentiful, but the workers are few. Ask the Lord of the harvest, therefore, to send out workers into his harvest field" (Luke 10:2). 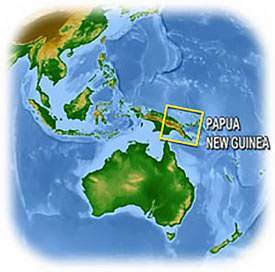 Today Dave and Cindy are missionaries in Papua New Guinea. With them are their five children. They've shared Jesus with the Pukapuki people, neighbors to the Malaumanda. 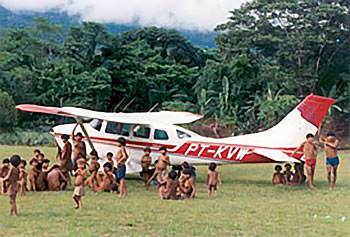 The Malaumanda also have their own missionaries now. Sixty of them know Jesus as their Savior, and they're studying the Book of Romans in their native tongue, no longer afraid of the forever fire. God has their names written in heaven, including Wadu's. But things happened too slowly for Gleamase. He was murdered before a missionary could tell him the Good News. There's no time to wait. People need Jesus. Does God want you to be a missionary? A short-term missions trip may be the best way to find out. Go for it. In the meantime, ask the Lord of the harvest to send more missionaries. Now.